Red Fiat 500l, manufactured in 2013, first registered on 1 July 2013. Cylinder capacity: 1368cc, CO2 emissions: 145 g/km. Didnt you know their little darlings are more important than the rest of us. Its hard walking. 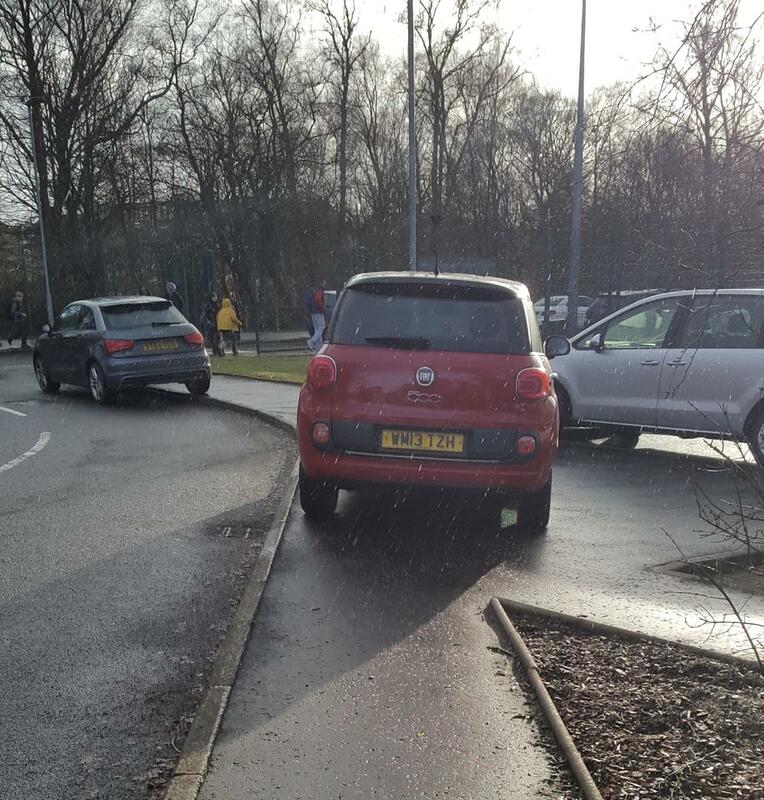 Quality parking at local primary School in Glasgow.